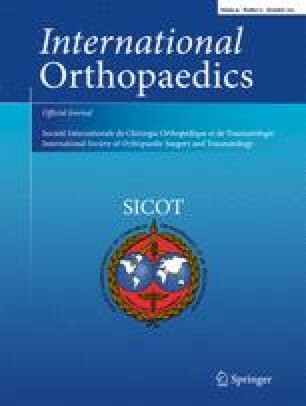 The purpose of this report was to retrospectively review a series treated with pelvic tumour resection and massive allograft reconstruction, and determine survival of patients and implants, functional results and morbidity of surgical technique. From 1999, 33 patients underwent pelvic tumour resection and massive allograft reconstruction. The mean age was 40 years (range, 14–72) and 29 patients had a primary malignant tumour. The resection involved the acetabular area in all but three patients. At a median follow-up of 33 months (range, two–143) four patients had local recurrence. The morbidity was high: five deep infections (15 %), requiring two allograft removal, six hip dislocations (18 %), eight sciatic nerve palsy (24 %), persistent in six cases, and two loosening of the acetabular component. Implant survival was 87.3 % at last follow up. The cumulative overall patient’s survival was 41.5 % at five and ten years. The average MSTS functional score was 70 % (range, 54–100 %) when the acetabulum was preserved while it was 61 % (30–100 %) in patients with acetabular resection. In conclusion, pelvic allografts represent a valid option for reconstruction after resection of pelvic tumours but due to the associated morbidity, patients should be carefully selected.